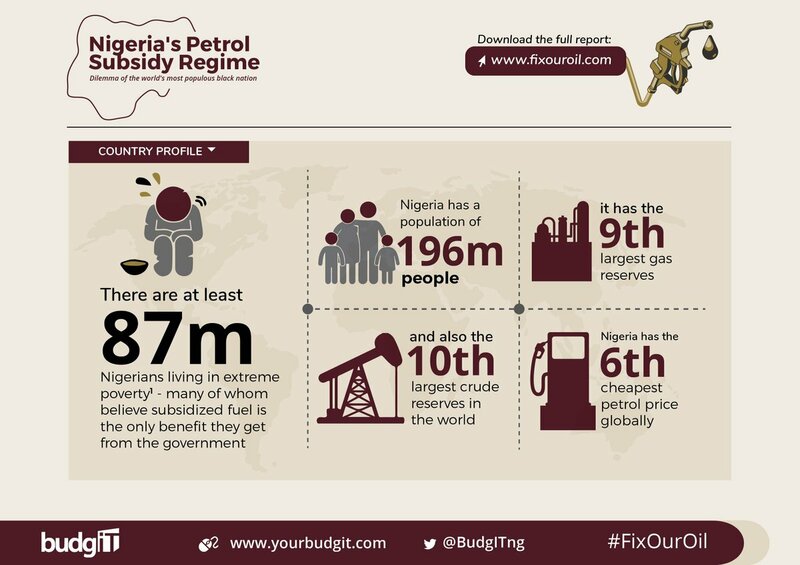 @OpenFundingNG @BudgITng @akorive001 @MatthewTPage The first thing to do is prioritize passage of the PIB. Because this bill provides the framework for the commercialization of the sector. Saying we'll not privatize or commercialize is not an option. 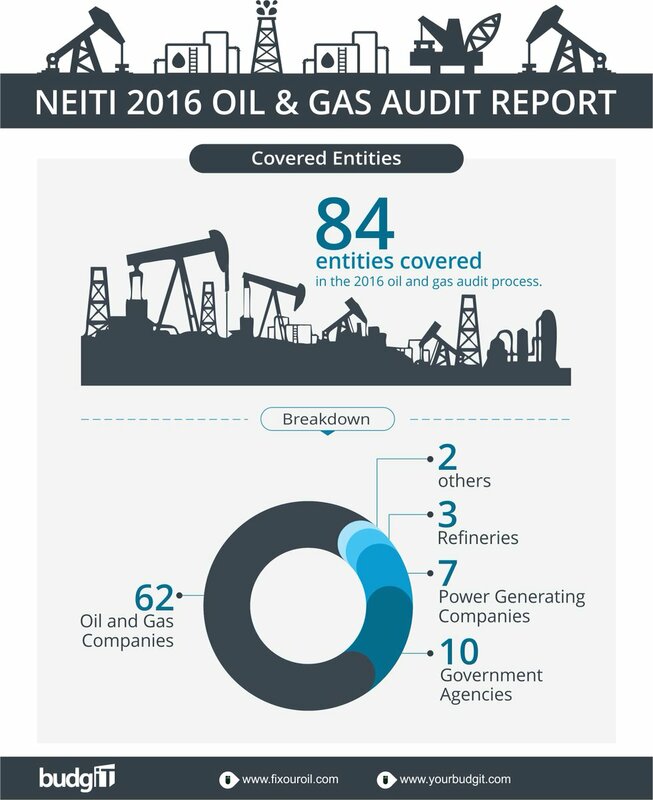 We must make effort to make d sector more accountable, transparent & profitable. 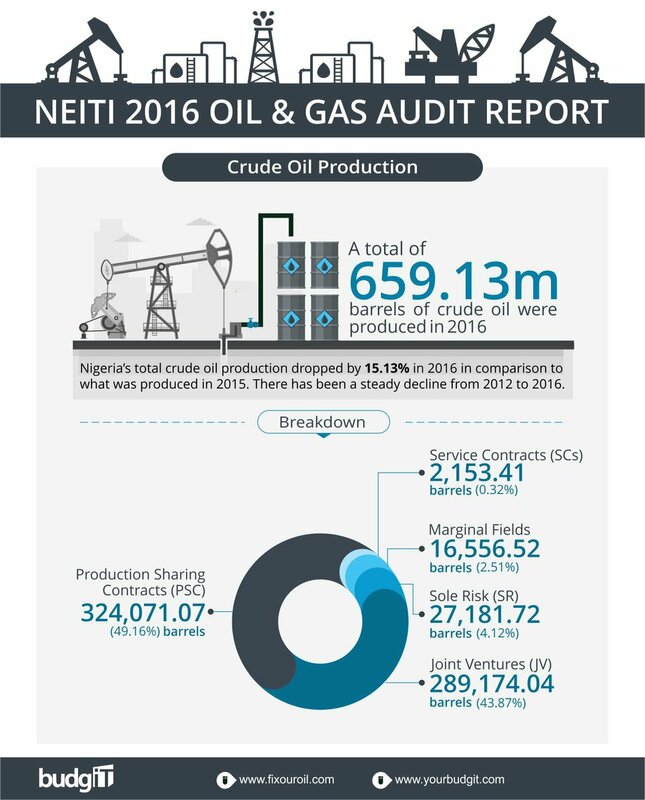 Crude oil production dropped by 15.13% in 2016 in comparison to what was produced in 2015. 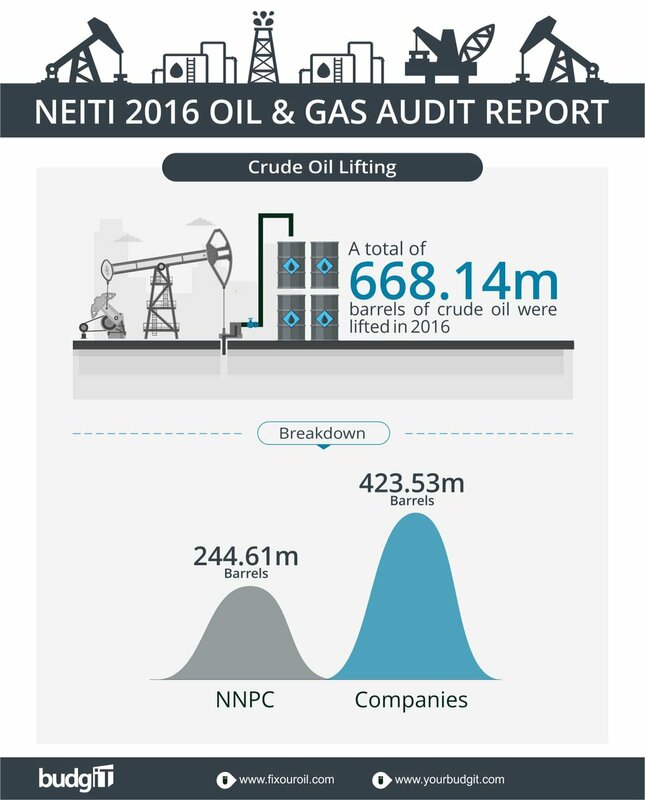 NNPC lifted 244.61 million barrels of crude oil in 2016. 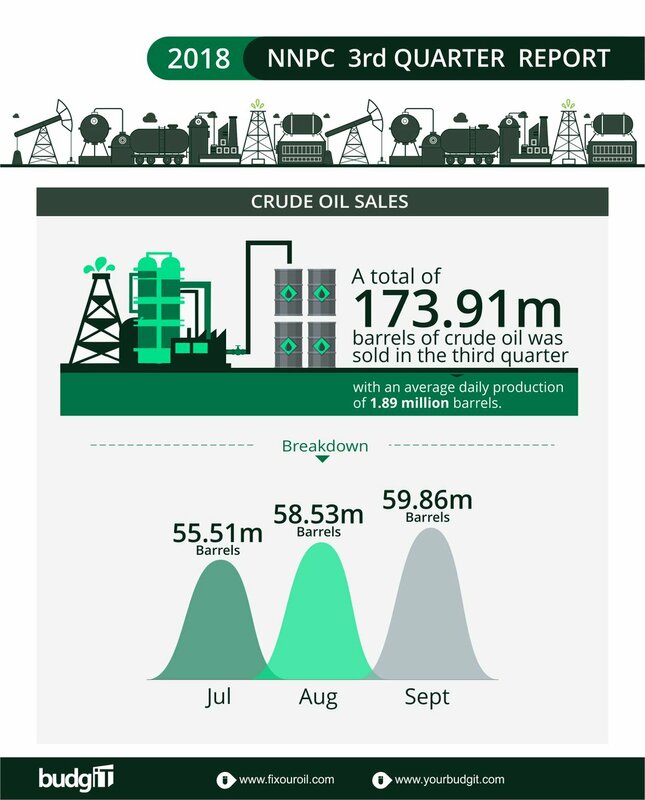 NNPC sold 173.91 million barrels of crude oil in Q3 of 2018. 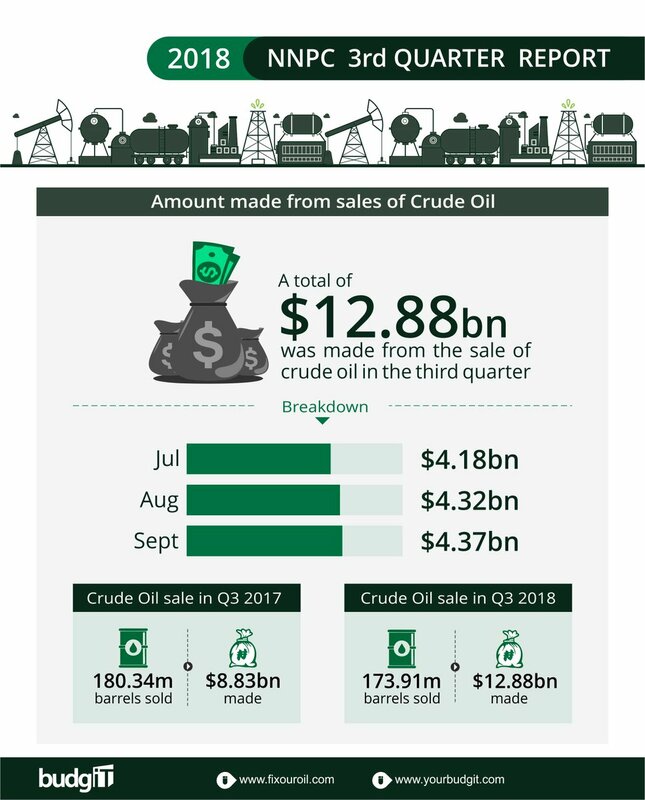 A total of $12.88 billion was made from the sale of crude oil in Q3 of 2018. 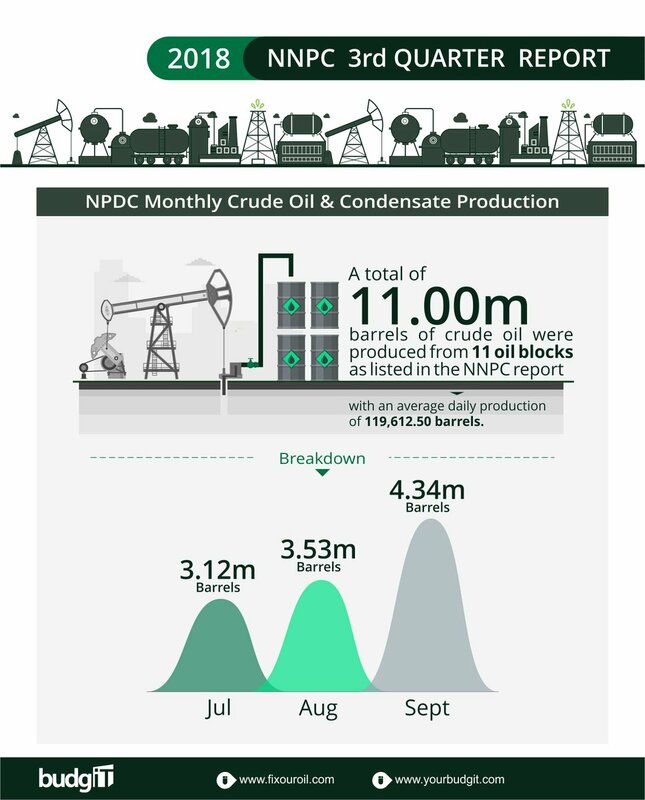 NPDC produced 11 million barrels of crude oil in Q3 of 2018. 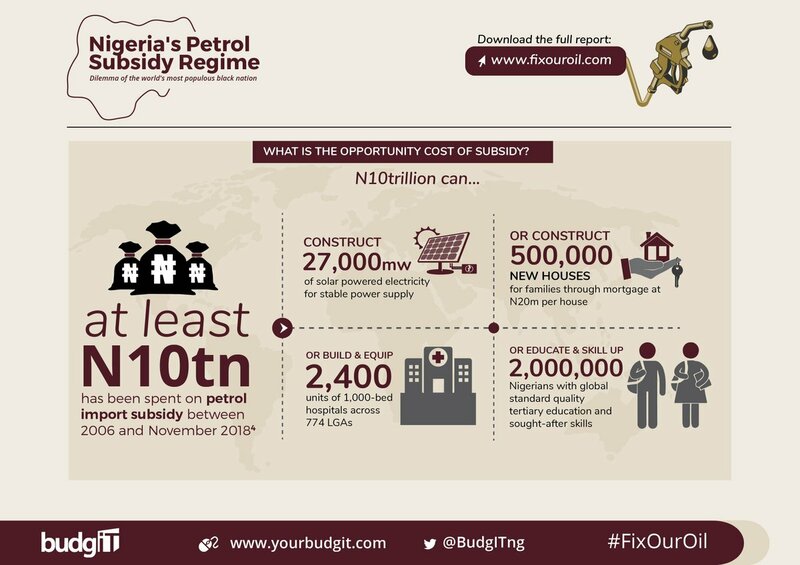 NNPC has stated that it is settling the current subsidy costs from $1.05 billion revolving fund, kept with CBN. There has been enough explanations that the shares "owned" by NNPC in NLNG, are held on behalf of the Nigerian people. 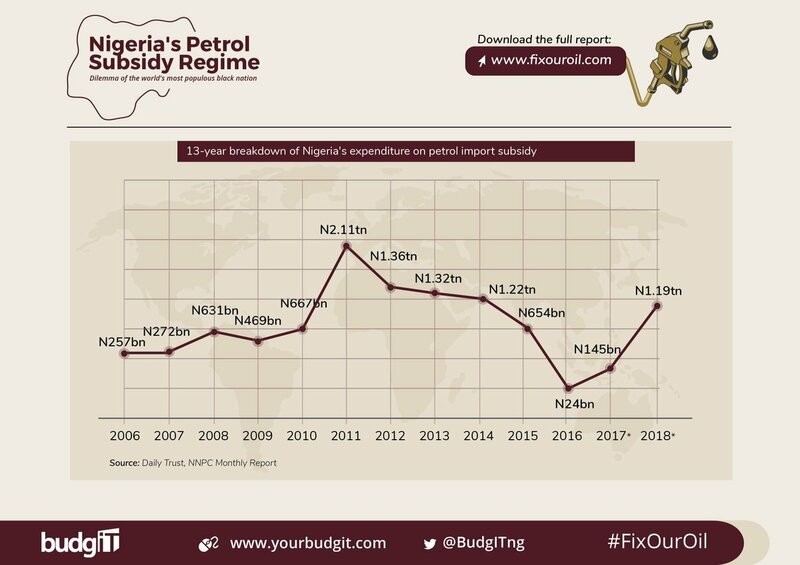 NNPC in its monthly reports also deducts funds for under-recovery (subsidy) before remittance to the Federation Accounts. There are huge questions to be answered. 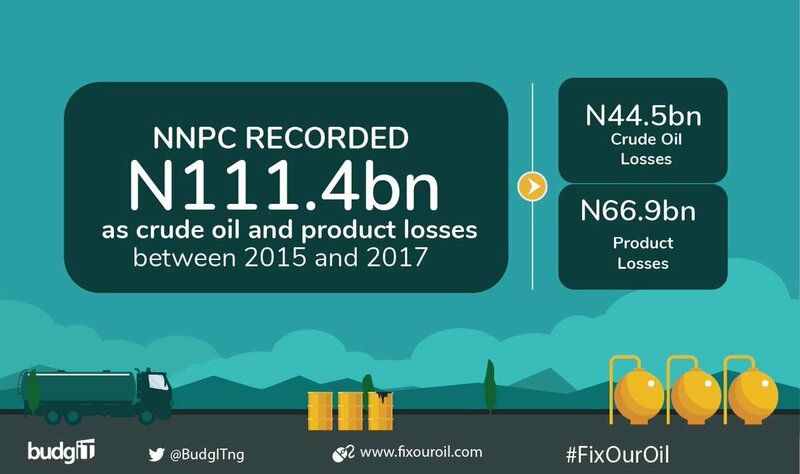 NNPC claims it lost N111.42 billion worth of crude oil and products in its custody between 2015 - 2017. This is separate from the N427 billion it claimed as financial losses incurred at its corporate headquarters alone, CHQ within the same period. NNPC paid N450 billion as subsidy to oil marketers without approval of the National Assembly. 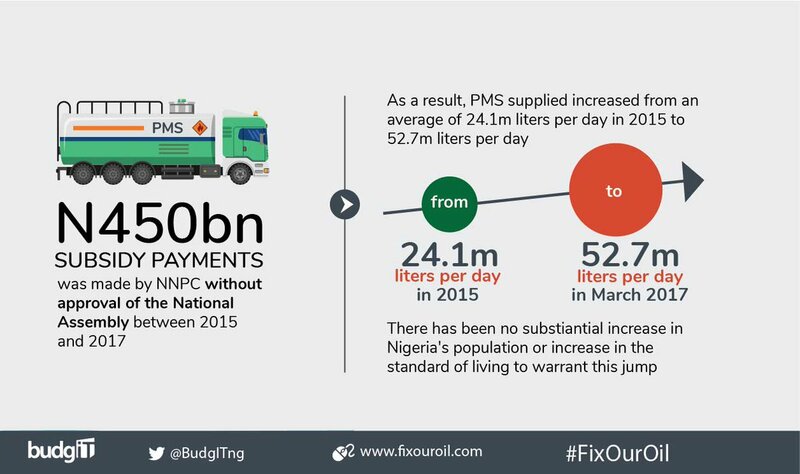 As a result, PMS 'consumed' JUMPED from 24.1m litres/day to a peak of 52.7m liters/day in March 2017. The extra, cheap fuel is sent out for sale neighbouring countries. 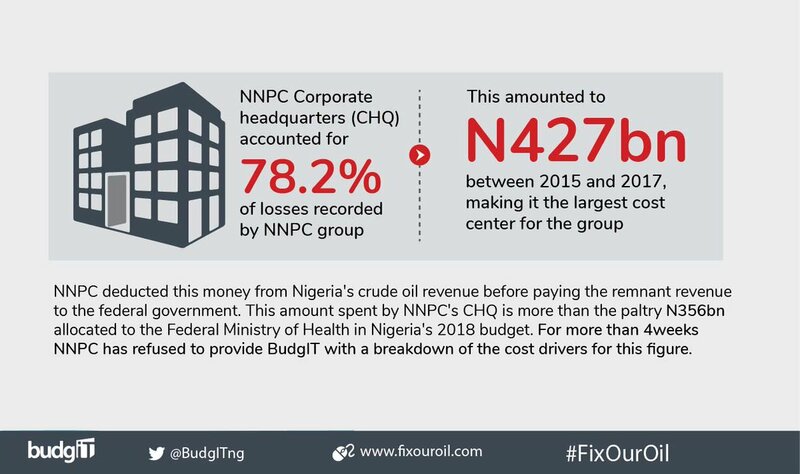 NNPC deducted N427 billion from Nigeria's crude oil revenue - without approval of the National Assembly @nassnigeria - to cover 'financial losses' at its corporate headquarters, CHQ alone between 2015 - 2017. This is more than the 2018 budget for Health of N356bn.